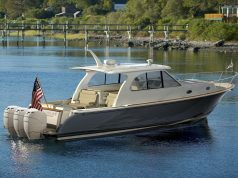 As the new model series’ name implies, the Formula 430 All Sport Crossover is dedicated to doing it all. World, meet the Formula 430 All Sport Crossover. Fishing amenities continue with a 52-gallon, pressurized livewell that can double as dive tank storage. 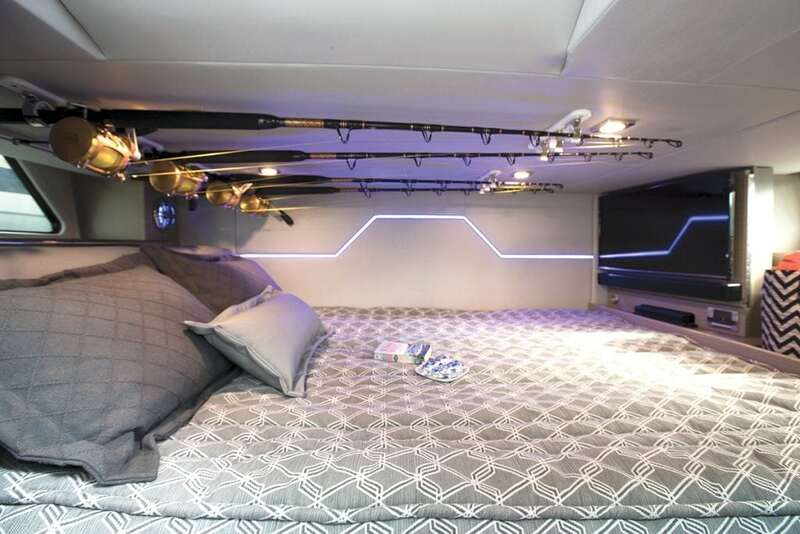 The livewell is part of a larger fishing station that has storage, tackle drawers, bait prep, fresh and raw water hookups, and the location for the second helm station. 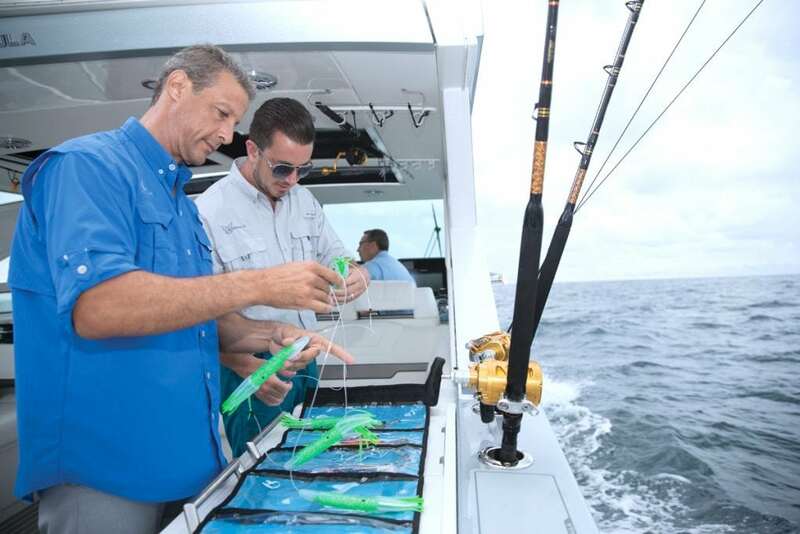 Four rod-holders (reduced to three rod-holders with the Mercury Joystick Piloting control option) across the back of the fishing station combine with 10-rod holders built into the sport station bar. 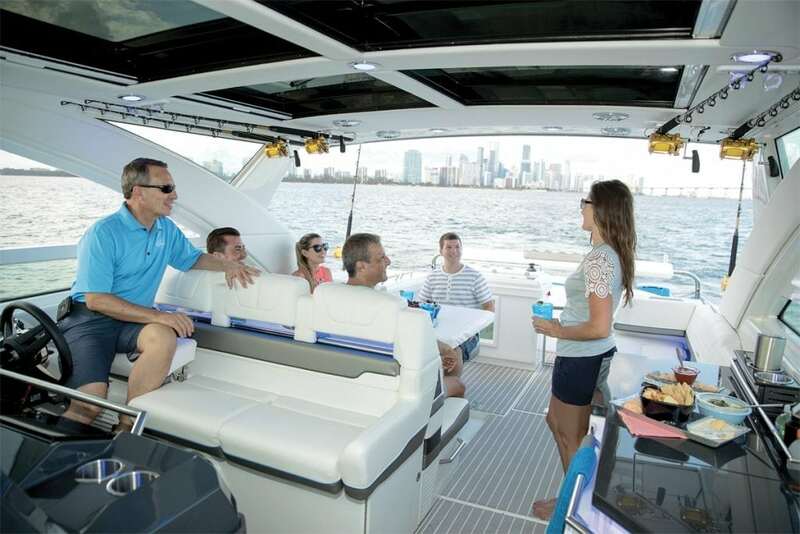 Moving forward into the starboard helm station, three bolsters with motorized adjustable-height footrests provide sturdy seating for running in big water. The helm features three 16-inch Raymarine multi-function displays that display a host of chartplotter and performance data. Two powerful transducers provide a detailed sonar look at what’s going on beneath the boat, helping anglers hone in on good fishing spots. “We use digital switching, which has really grown in the last few years,” says Porter. 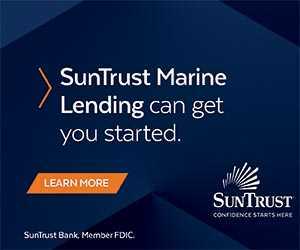 “The digital switching allows you to run all your breakers, lighting, entertainment, and other features and control it from a display or an iPad. It gives you more mobility.” A sturdy hardtop covers this entire space and features a motorized glass sunroof. 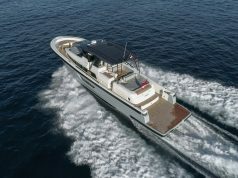 The Formula 430 ASC at the Fort Lauderdale show was equipped with quad 400-horsepower Mercury Verado four-stroke outboard engines. That’s Mercury’s most powerful outboard available. 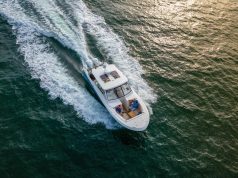 “About 70 percent of the 430 ASC models we sell are with the quad 400-horsepower engines,” says Porter. He also noted the 430 ASC has a 500-gallon fuel tank. “People want the power, and while it can be equipped with quad 300-horsepower or triples, you just don’t see much of that.” At the dash, the Mercury VesselView information system displays engine information, generator performance, sonar, and more. Engine data like rpm, speed, fuel flow and efficiency, temperature and trim can be monitored for all four engines at once on an LCD screen. You’ll do so in comfort. Moving forward into the expansive bow area through the port-side walkway from the helm, a semicircle-shaped lounge goes around the gunwales. Two table pedestals can raise and lower—up for the dining position, down to make the entire area into a huge sunpad. Dual coolers, storage lockers under the seat, and a canopy round out the space. You’ll find additional privacy about the Formula 430 All Sport Crossover. The primary sleeping space is in the aft cabin stateroom. The area features a queen-size bed and privacy curtain. The space offers a 32-inch flat screen TV, Blu-ray player and two dual-USB charging stations. Two more guests can sleep in the main cabin; a power table lowers to create a berth using filler cushions upholstered in soft Ultraleather. The enclosed head features a vanity with Corian countertop, sink, VacuFlush head, shower, and a high-gloss, wood grain finish lower cabinet. Additionally, the galley is fully equipped below. There’s a microwave, concealed electric burners, concealed trash bin, and a LED-lighted cabinet furnished with stemware, tumblers and wine storage. Basically, everything needed for overnights and long cruising weekends. “The Formula 430 All Sport Crossover offers something for everyone, not just anglers or divers,” says Porter. “The design is smart, too. I really like the aft control station with the Mercury Joystick. 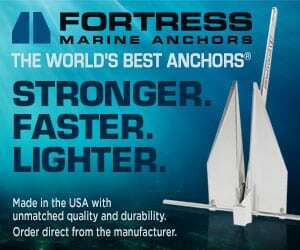 This helps with maneuvering around other boats, at the dock and, of course, while fishing. It’s something not a lot of other builders are doing. It makes a lot of sense on the water.” But when it comes down to it, you’d be hard-pressed to find someone that the 430 ASC doesn’t suit.